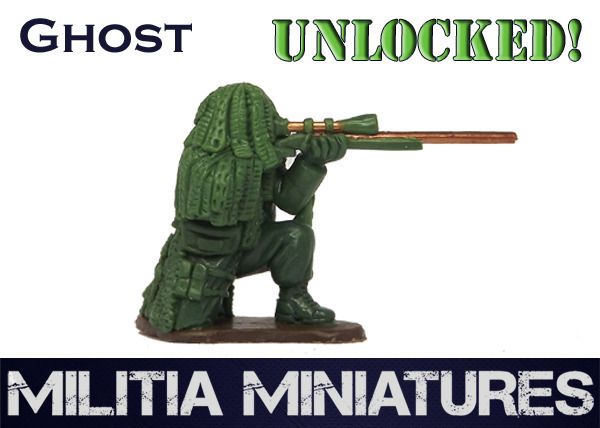 We've now hit the £2,500 GBP mark and our excellent Ghost sculpt has now been unlocked. Thanks to everyone who has pledged and I hope you like him! He will be added FREE to any 'FULL SQUAD' pledges and will also be available for selection on all other pledge levels. This is a good-sized piece, around 50mm across, so would look great with a flag flying high or piled up with some of the Boxes. It will be available as an Add-On, at the bargain price of £1 GBP each! 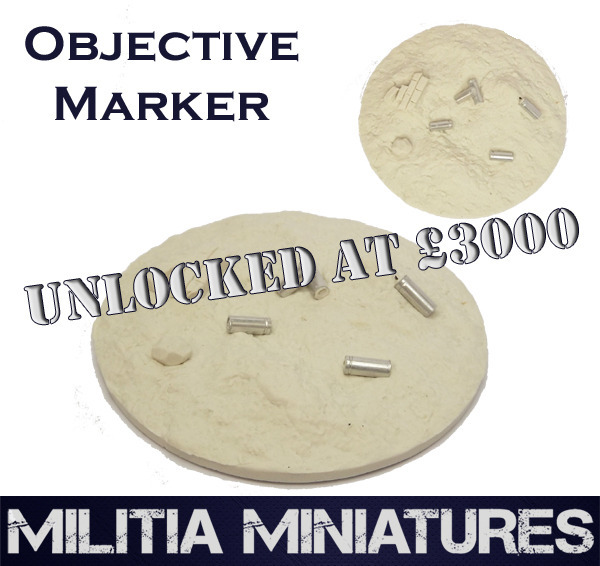 As well as unlocking Ghost, we've also added some freebies and Add-Ons to our project! First up we've got some Boxes and Sacks! 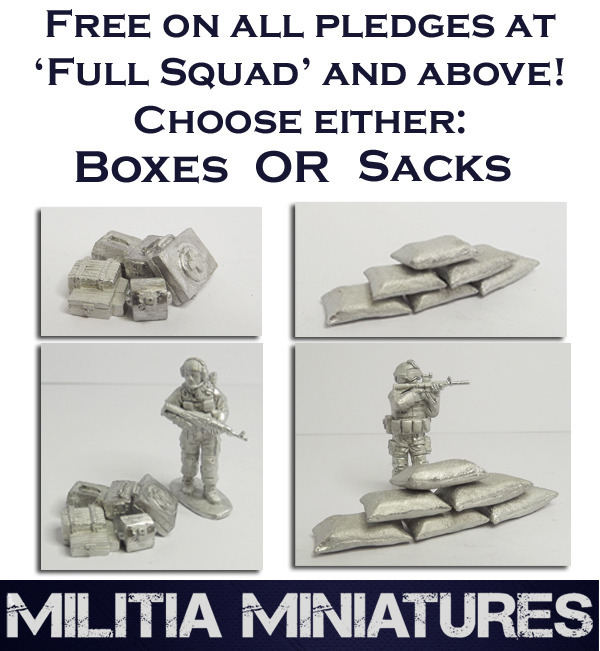 These have been added as a freebie, where every pledge level at 'FULL SQUAD' or above can add either: 1 FREE pack of Boxes (contains 6 different boxes) OR 1 FREE pack of Sacks (contains 6 sacks, in 3 different sizes). If we hit £3,000 GBP, then we will include a pack of each! And secondly, we've got some Drums and Crates! - If you want 1 pack of Drums, simply add £1 GBP to your pledge. 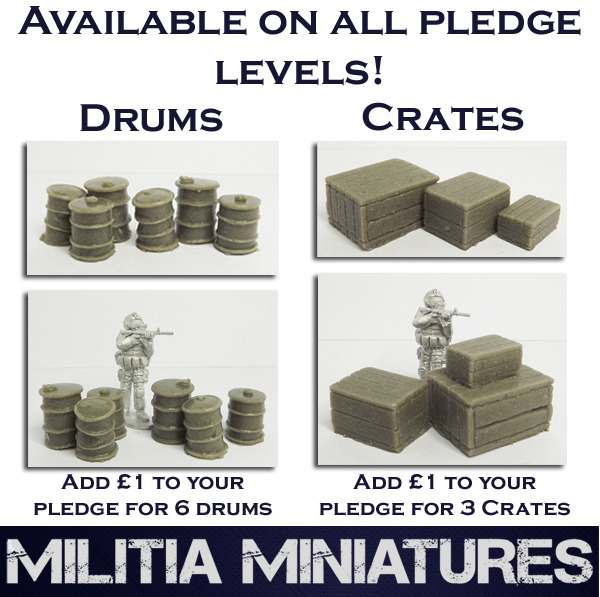 - If you want 3 packs of Drums and 1 pack of Crates, simply add £4 GBP to your pledge. If you've got any friends who you think might be interested in getting involved, please pass our details on to them and we'll hopefully see them on board as well! This entry was posted on Friday, September 5th, 2014 at 10:00 and is filed under News. You can follow any responses to this entry through the RSS 2.0 feed. You can leave a response, or trackback from your own site.